Stonehenge - Created by Somebody With Autism? 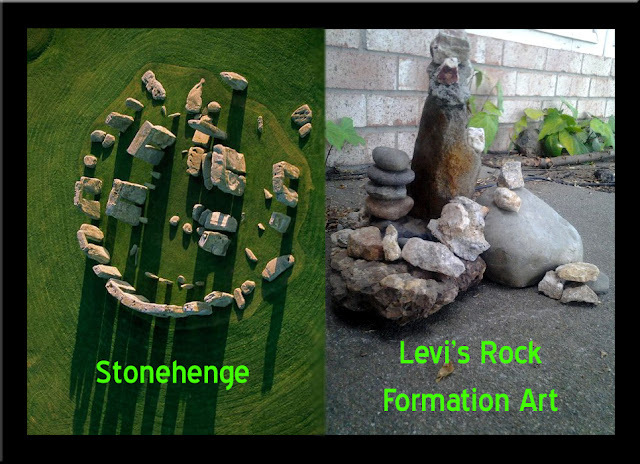 Was Stonehenge created by somebody with autism, like Levi? Many of you know by now that I have a fascinating ten year old son, named Levi, who has autism. I have never considered his autism to be something we must cure, nor did we wish he did not have it. Yes, when he was non-verbal, we have tried different things to help him communicate, which were successful. Yes, we try to teach him things he must be able to handle or do in order to function in this world, because it will not bend over backwards to accommodate him. He must learn to function in the real world on its terms. He still feels a need to make over things to "fit" in his mind. Such as rocks. He is a rock hound. But after collecting them, he must organize them in such a way it is aesthetically pleasing to his eyes. Could Stonehenge have been created by somebody with autism? And thus, I sometimes ponder how many people in this world also had some form of autism in the past? How many of the "famous" people has autism that drove them to create works that worked in their mind? For instance, Levi plays minecraft. It should be called MINDcraft. Because the things he designs in it. He has created so much music in it. He has never had any musical training, yet he can figure out how to make notes, combine them, and repeat the songs he has heard in his life. He can write new songs. Talent so natural and untaught. But in his mind, it fits. And I love his mind!! !